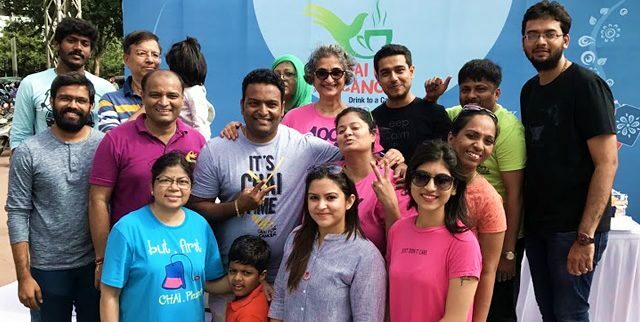 Back-to-back Chai for Cancer Addas over the 22-23 July weekend at the Basavatarakam Indo-American Cancer Hospital, the picturesque KBR National Park and the serene Aparna Sarovar Grande, a housing colony in the suburbs of the city. People from all walks of life came together to drink to a cause. Dr Senthil Rajappa and Dr Krishna Mohan were, as always, the epitome of gravitas. Enthusiastic supporters and well-wishers and FOM hosts – City Chapter Leaders from Hyderabad. Also at hand was the irrepressible RJ Surya of Red FM 93.5 our Radio Partners, to allow donors to express themselves – a perfect platform to spread the message of cancer awareness and needs of patients.